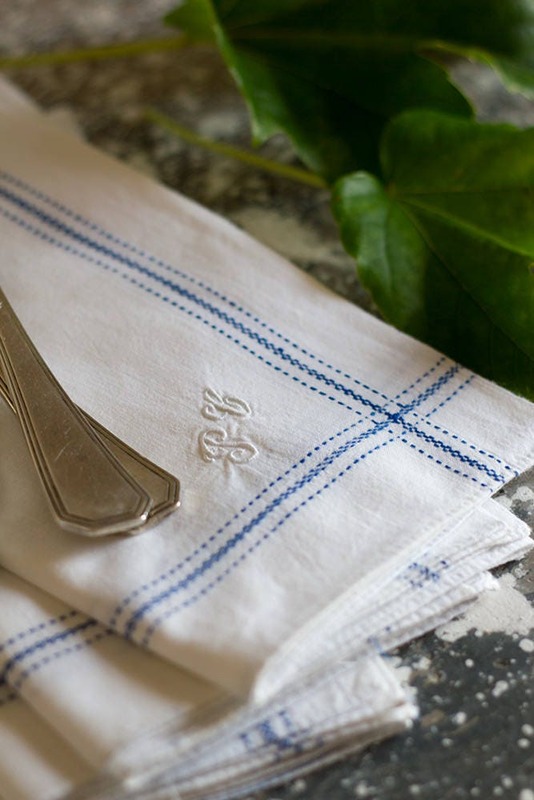 A set of four fresh, crisp cotton napkins with woven blue stripes creating a border on all sides. Hand monogrammed with the initials "PC" in very fine stitches. 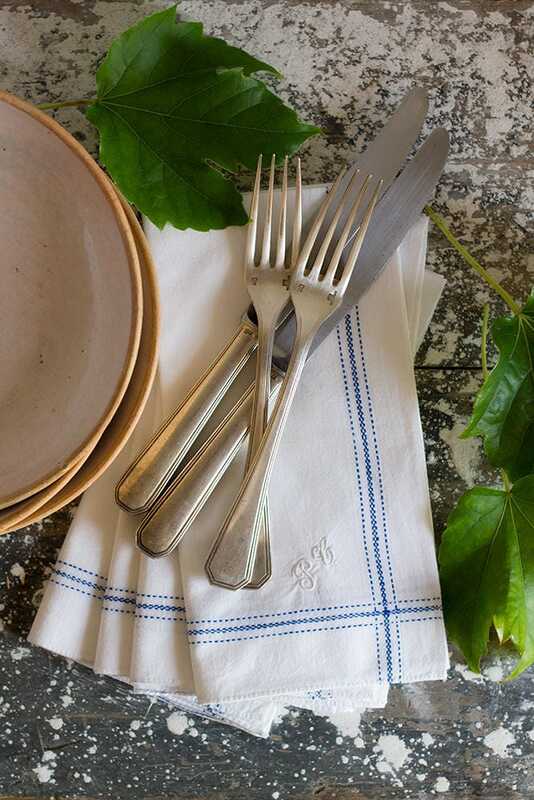 Simple and elegant for a classic French table setting. 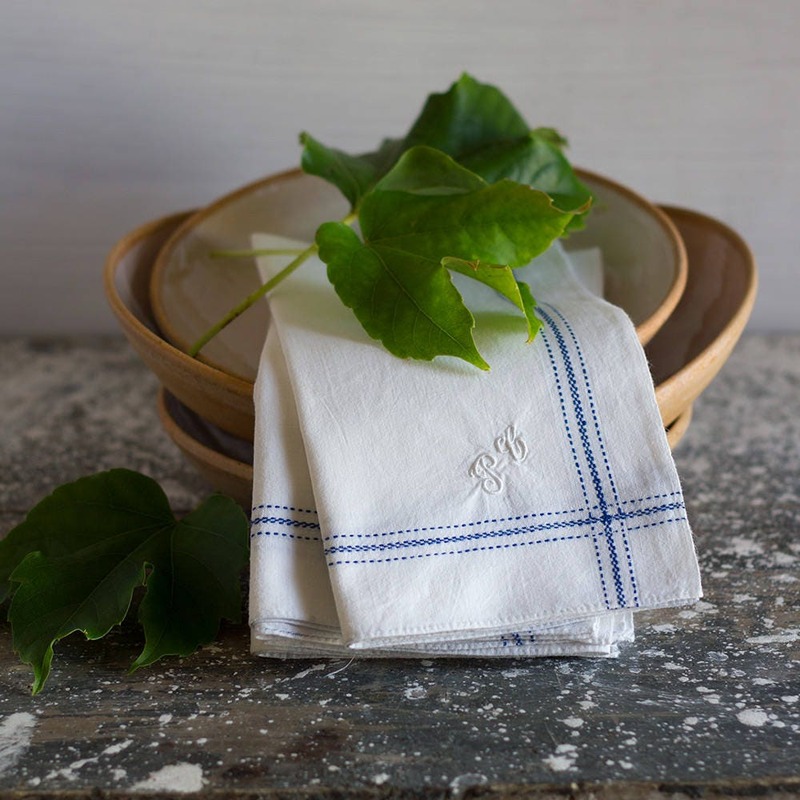 The fabric has been hand-loomed and so has a fine texture to it and the beautiful slightly irregular edges of older fabrics. The rolled hems on the other two sides have been hand-sown with tiny stitches. This listing is for 1 set of four. 2 sets are available. 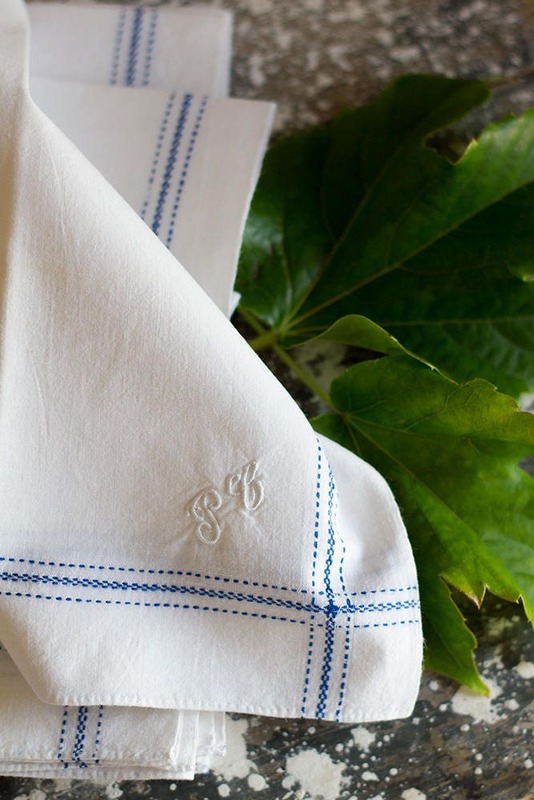 These napkins have been washing with gentle, perfume-free soap and dried under the sun of the Occitane. These pieces wear their history like all vintage pieces which only adds to their story. 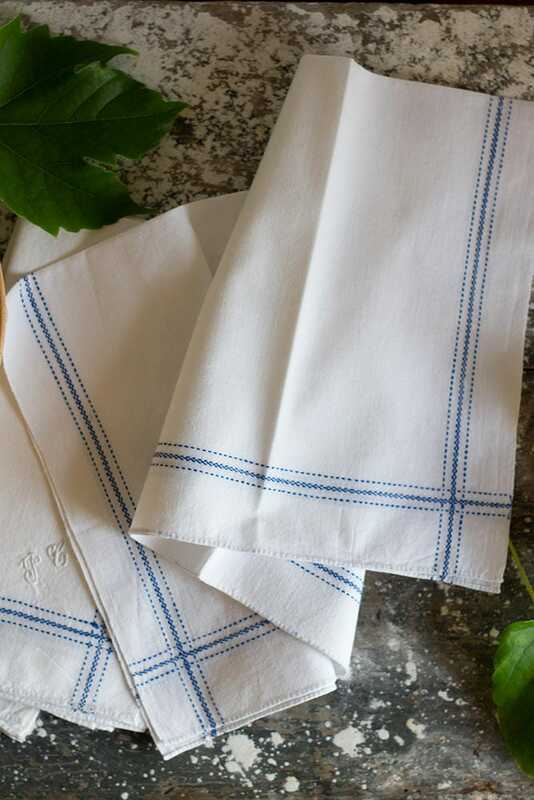 These napkins are in excellent condition with no stains or tears. Some blue threads have worn thinner in a small handful of spots.